Hi All! I've got a quick post of a card I made this weekend but didn't have time to post before. 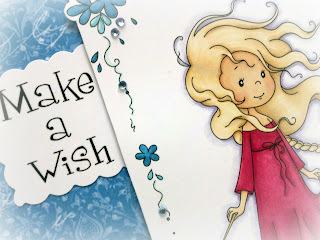 I've always got people requesting birthday cards and they are really so much fun to do because they're so versatile. This card will be going to an ultimate girly girl so I had fun going crazy with the bright colors and lots of jewels. 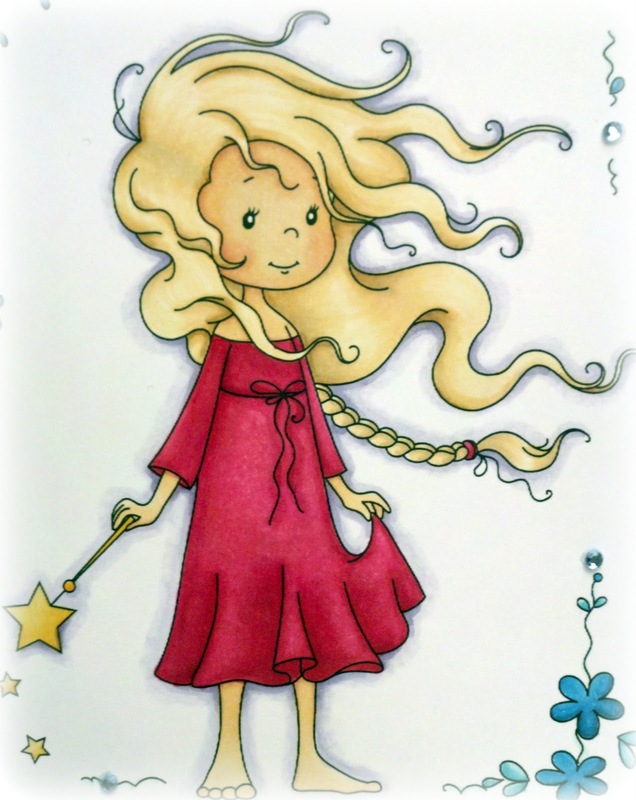 And I've been dying to use this new digi stamp named Wendy that I got from Spesch Designer Stamps (grab it here)- she was soooo much fun to color, which I did with my Copics. 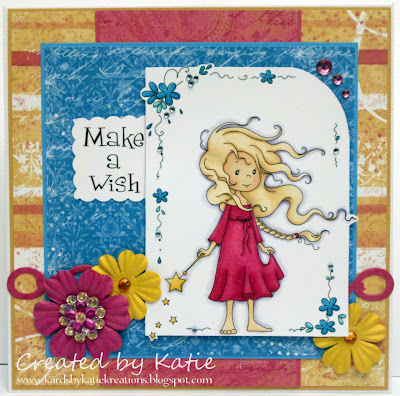 I have a feeling she'll be making many more appearances here in blogland :) I hope that this card inspires the same amount of joy and fun to the recipient as it did to me while making it! I LOVE this one so much! Would you mind sharing all the colors you used on her? Her blond hair is absolutely incredible! Oh my gosh - it's so cute. Absolutely love the image and the coloring is great. Thanks for joining us at Do You Stack Up. This card passed Adorable some time back - I love everything about it - the color of her dress against that blue - your coloring of the girl - please share Copic hair colors you used - it's fabulous! I don't suppose you'd want to send that to me, lol ? It's lovely. Thanks for participting in the challenge at Stamps R Us "For the Girls" - phenomenal job! What an adorable card!!! Love that sweet image!